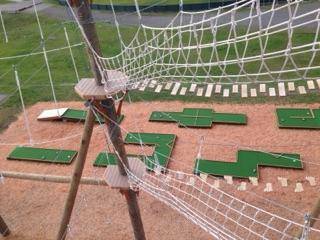 18- Holes of play. Includes putter and ball. Same day purchase. Good for adult or child. Children ages 6 and under are free when accompanied by a paying adult. 1. Supervision required for children 14 and under at all times. 3. Swing putter gently and always keep the head of the putter below the ankles. 6. Play at your own risk. 7. Violating the rules may lead to ejection. Book your tee time online. Upon arrival, go to the office and check-in and you will be given a golf ball, putter, scorecard, and pencil. 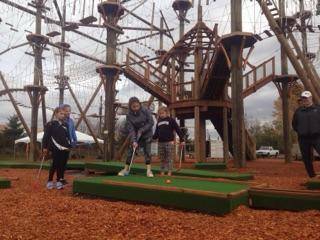 No Mini Golf group size is too big or too small. 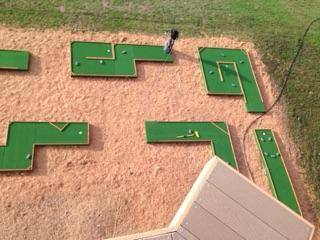 There are 18 challenging holes to putt. Keep track of strokes with the scorecard and see who can complete the course in the least amount of strokes. 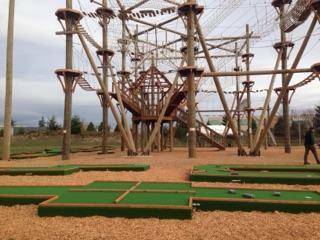 For those who are going up on the ropes course, you can add putt putt golf to your days activities for a special discounted price. If you put together a group of 10 or more you may want to check out our Mini-Golf Party pricing. 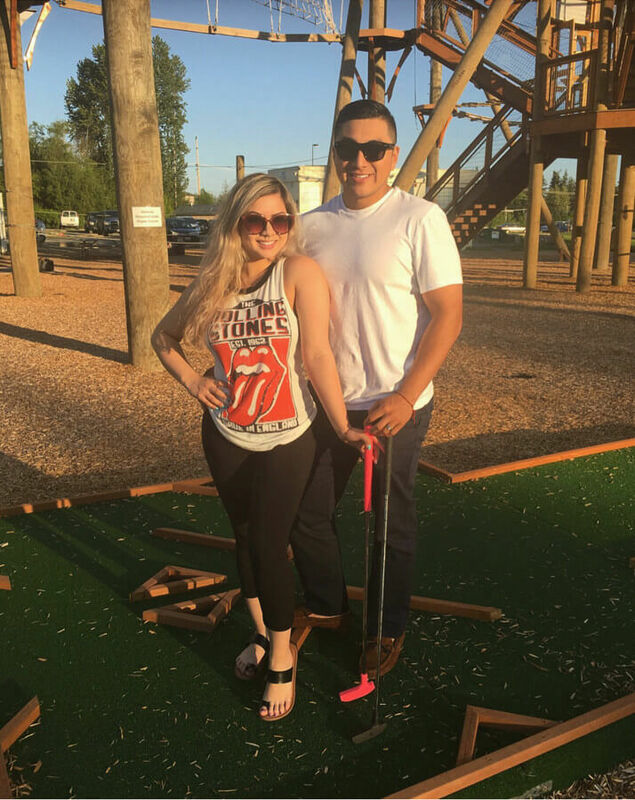 Mini Golf parties are good for a family, sports team or company department activity and also is a great way to check out the High Trek venue and see all the other services we offer at our outdoor fun center. Online bookings are preferred for planning purposes but walk-ins are always welcome, space permitting. For available days, view our hours page. 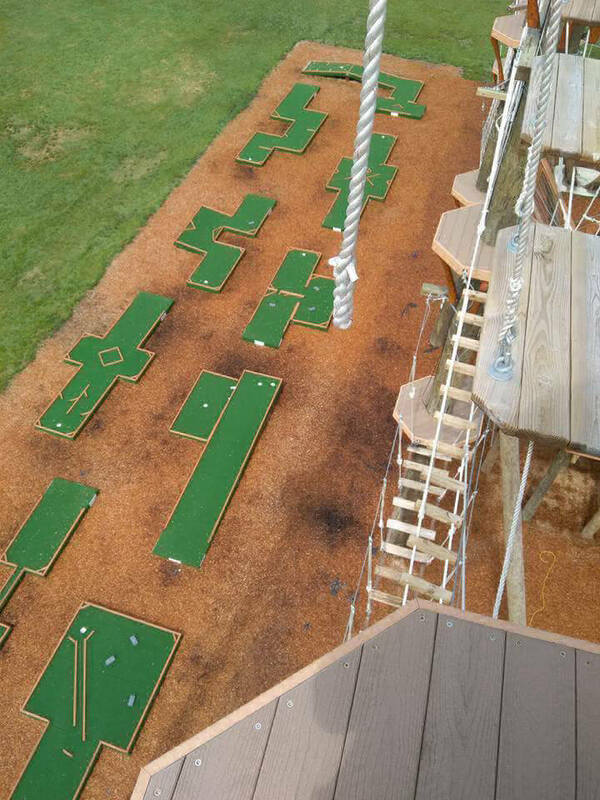 For available ticket times, add a zipline ticket to cart.